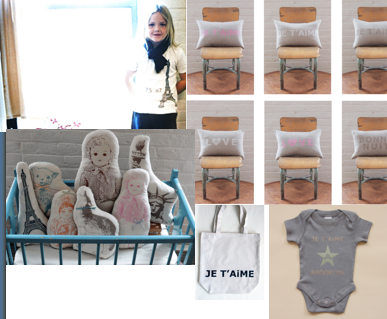 atsuyo and akiko were two other designers i met at bubble..their line is so modern, frenchy, and really original. 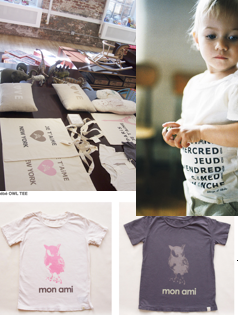 their canvas totes are too cute..i got one of the linen "bonne nuit" pillows..Every child needs a little french touch to their wardrobe or bedroom. Atsuyo is pregnant with twin girls and she has rikshaw bedding to start her off with her wild adventure that lies ahead!